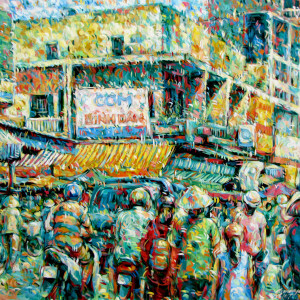 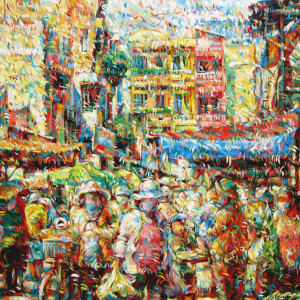 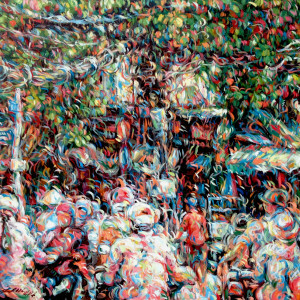 This stylized abstract painting by modern Asian artist Tran Ngoc Duc depicts a busy city street at noon. 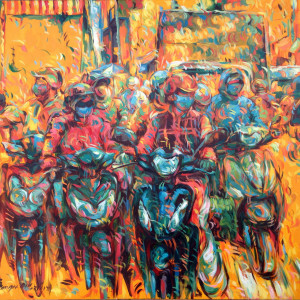 The composition shows people on motorcycles with helmets and masks on. 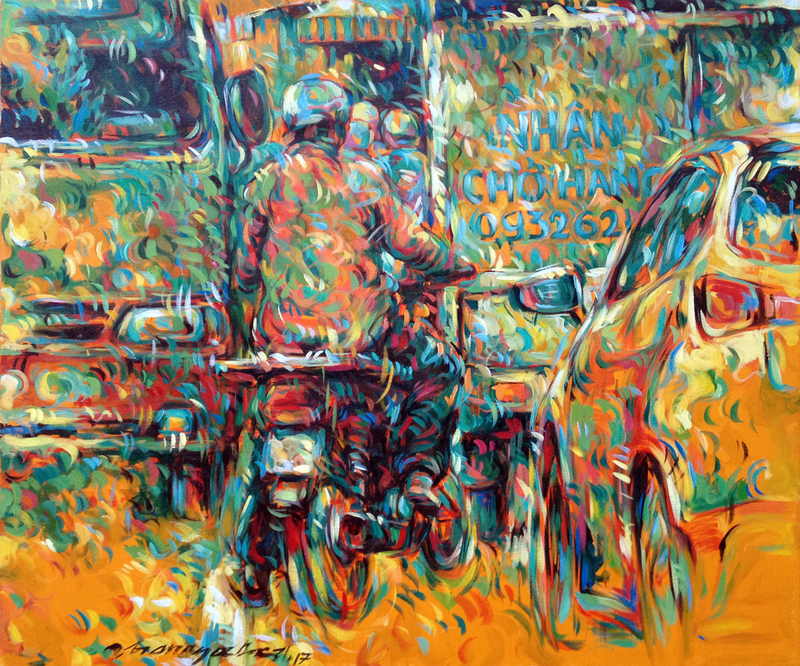 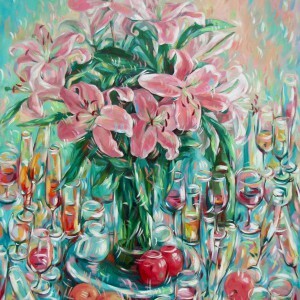 Though painted in unrealistic colors, the clever use of yellow conveys the noontime heat and sun very effectively. 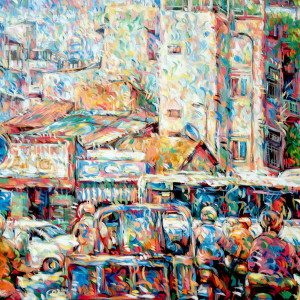 Tran Ngoc Duc’s art imbues a surrealistic tone to this familiar urban sight.